Your daily cup doesn't just give you a caffeine kick. It can also raise your cholesterol level. Limit coffee intake to three cups a day. Never combine coffee and cigarettes. It's a double whammy. Try to have coffee black rather than with milk and sugar. If you can't, use skimmed milk and a sucralose-based sweetener. To date, coffee consumption is not directly associated with heart disease-unless, that is, you have high blood pressure; then your doctor will ask you to avoid coffee. However, two diterpenes (major biosynthetic building blocks present in nearly every living creature)-cafestol and kahweol-found in high amounts in unfiltered coffee have been found to actually raise cholesterol levels. These studies examined different types of unfiltered coffee and coffee oil. Most studies have indicated that an intake of roughly 60 milligrams of cafestol (equivalent to six to eight cups of unfiltered coffee or two grams of coffee oil) may raise total cholesterol levels by about 20%. This is largely due to an increase in LDL and triglyceride levels. HDL levels do not appear to be affected. Although the mechanism by which cafestol and kahweol raise cholesterol levels is largely unknown, a study performed on mice at Baylor College, Houston, indicates that these compounds may activate a protein called farsenoid X receptor in the intestine. This protein, in turn, activates a gene called fibroblast growth factor 15 (FGF15), which reduces the effects of three liver genes involved in cholesterol regulation. Dr Michael J Klag, the Vice Dean for clinical investigation at Johns Hopkins University School of Medicine in Baltimore, found that drinking an average of six cups of coffee a day was associated with increased total cholesterol and LDL levels. Nearly all of the rise in cholesterol was linked to unfiltered coffee. Although caffeine is often cast as a villain, the stimulant is not to be blamed for unfiltered coffee's effect on cholesterol levels. According to Klag, the higher cholesterol levels are caused by oils called terpenes, found in coffee, but are mostly removed by filters. 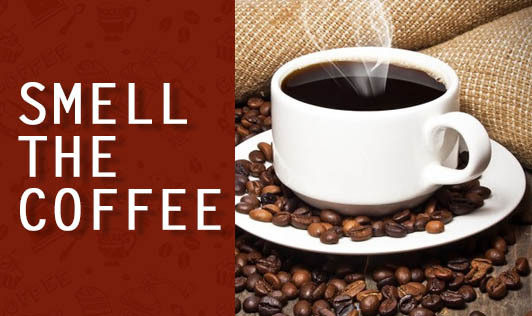 Although he advises patients who drink unfiltered coffee to switch to filtered brew, Klag says that not everyone needs to be concerned about the effect of unfiltered coffee on cholesterol. That's because cholesterol levels depend on a combination of factors, like how you live, what you eat and what genes you inherit. In short, a healthy person with low cholesterol probably does not need to worry too much about the effect of coffee on his or her cholesterol levels. Still, if you are trying to watch your cholesterol levels, you may want to lower your consumption of unfiltered coffee beverages. Brewing coffee through a filter appears to remove most of the cafestol and kahweol components in coffee. But while unfiltered coffee seems to boost cholesterol the most, in one study, researchers in Sweden found that even people who normally drink filtered coffee experienced a small drop in cholesterol levels when they stopped drinking it for a few weeks. caffeine intake in corporate India, we had better watch out! When making decisions about coffee, don't look for yes or no answers. While unfiltered coffee may contain substances that raise cholesterol levels, many popular coffee drinks sold at coffee joints contain other ingredients-cream, full cream milk and sugar, for example-that can contribute to raising cholesterol on their own. Instead, filter through your life and your own health risk factors to make a decision about how much and what type of coffee you want to drink. If you don't have a cholesterol problem, then, as the saying goes, coffee, chocolates and men are always better rich.